The bride and groom are raised, seated, on chairs as their guests sing and dance around them in this Jewish tradition called the Hora. The excitement is palpable and everyone gets involved in the dancing. 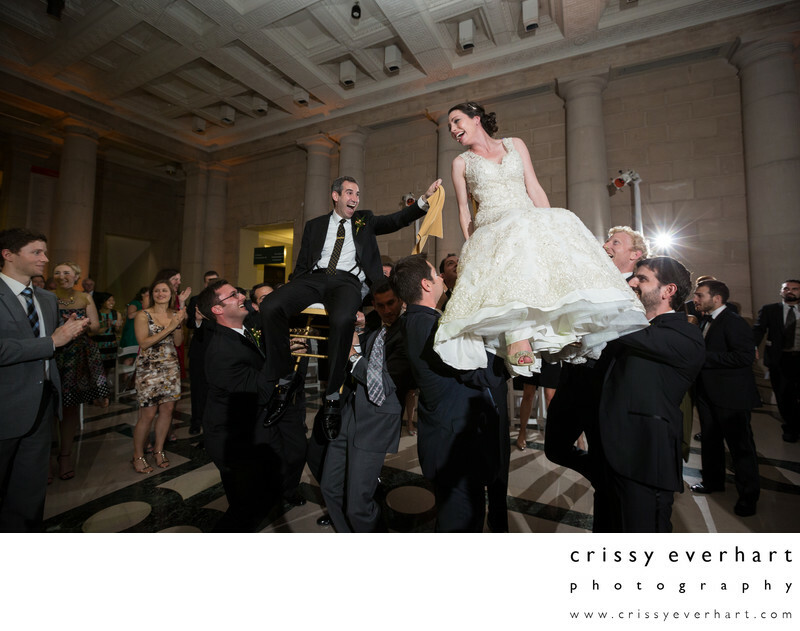 The couple tries to pass a napkin between them while they are mid-air, and it never fails to yield great photos!